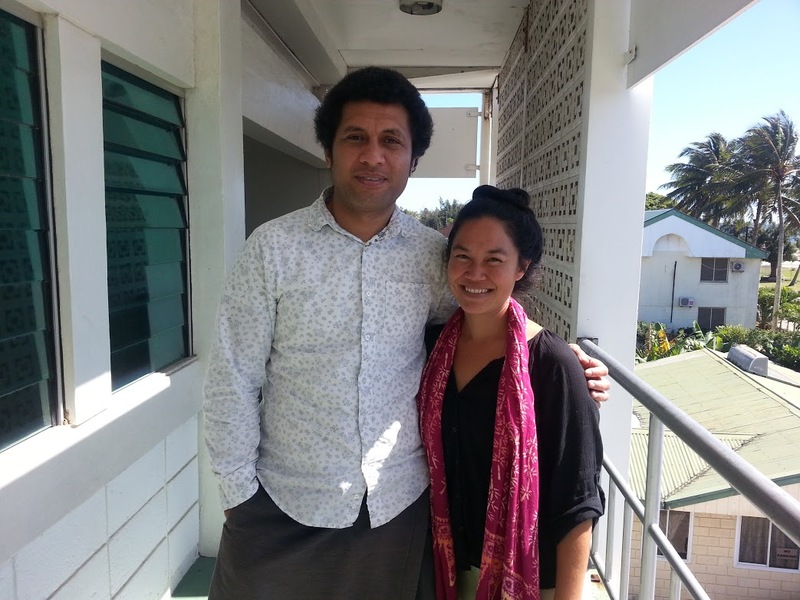 2014 Summer Travel Grant Series: Fieldwork in French Polynesia, the Cook Islands, and Tonga. 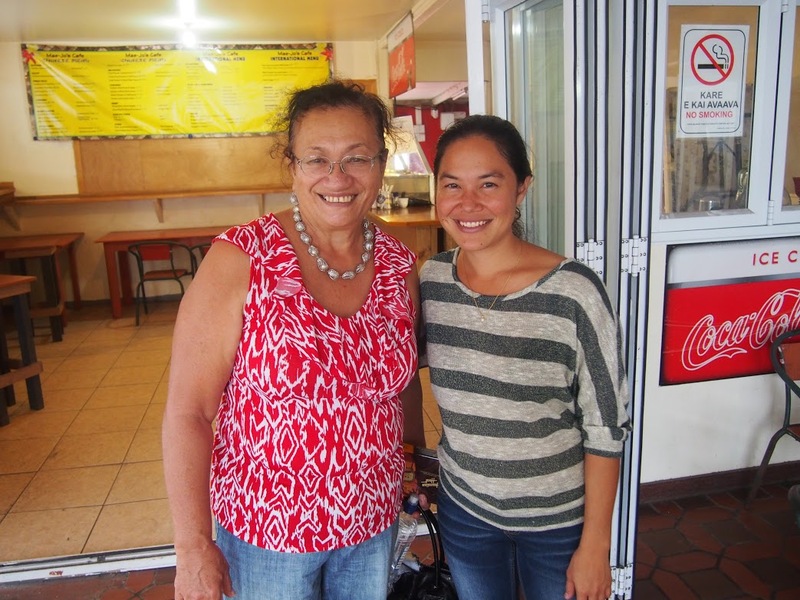 Christina Sablan with Ms. Rongo Preston, a well-respected mataiapo (traditional chief) in the Cook islands. I spent approximately one week in French Polynesia (Tahiti and Moorea), two weeks in the Cook Islands (Rarotonga), and ten days in Tonga (Tongatapu). During this time I conducted more than 25 formal and informal interviews with public officials (including elected and traditional leaders, as well as civil servants involved in land use management and planning), academics, journalists, land users and land right holders, attorneys and land agents, land court officials, bankers and business leaders, and other members of these island communities with an interest in land issues. 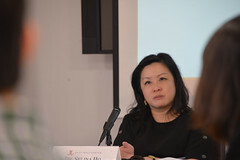 Through these conversations, I learned more about the the land tenure systems in these islands and the ways that land use decisions are made and conflicts managed when land is scarce and many of the landholders who have decision-making authority are living long-term overseas. I audio-recorded many of these conversations and took extensive field notes and photographs. 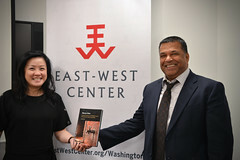 Christina Sablan with Tongan urban planner, Winston Halapua, an East-West Center alumnus and a graduate of the UH Department of Urban Planning. Mahalo once again for your kind and generous support! 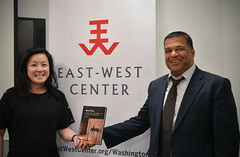 The East-West Center Association (EWCA) and the EWCA Hawaii Chapter provided Travel Grants ($500 each) to 10 current East West Center students in the summer of 2014. This entry was posted in East-West Center, Summer Travel Grant, Travel Grant and tagged EWCA, EWCA Hawaii Chapter, Summer travel grant 2014. Bookmark the permalink.